Our 10th anniversary Members’ Hui theme? The future of leadership in a diverse New Zealand. Because future-proofing matters more than ever. Technology is changing the way we live and work at warp speed. And while the top earners thrive, the New Zealand inequality gap is growing, leaving many kiwis without the means to follow their dreams. As Global Women celebrates its first decade, it’s time to honour the past and set strong foundations for the future. This will be a hui dedicated to exploring the unknown, and shines a spotlight on the women who bring clarity to the complex. It will be three days to fuel up your energy reserves. Three days to catch up with some of the most courageous and visionary women in New Zealand. Three days to learn from innovators at the cutting edge of business, technology and sustainability. You are invited to be part of the hui and to share your vision and ideas for leadership in a diverse New Zealand. We encourage you to claim 8 CPD points with the Institute of Directors; please contact your own professional body about claiming CPD points for attending the Hui. This milestone hui is named ‘Te Rourou’, inspired by a whakataukī that represents the way we come together and share knowledge for the benefit of others. Na tou rourou me taku rourou, ka ora ai te iwi. With your food basket and my food basket the people will be well fed. Welcome to Te Rourou: the food basket. Created for members, by members, your hui kicks off with a celebration – it’s our 10th birthday! Step outside of your day to day and into a space of exciting discovery and new connections. It’s time to meet your fellow attendees, local iwi representatives and future trailblazers as we reflect on our journey so far. Kick back, relax, and listen to the first speakers on the programme, including Jenny Morel, one of the original Global Women Members, and Global Women’s CEO Siobhan McKenna. The second day of our programme takes us from the unknown to tales of growth, resilience and development. Begin the day with our expert guides – Christchurch Mayor Lianne Dalziel, Dr Therese Arseneau, and ChristchurchNZ CEO Joanna Norris – for a tram tour of the city with a personal touch. Our speaker sessions and panel discussions today cover the latest in innovations across technology, finance, agriculture, community wellbeing, sustainable development and more. Led by experts at the cutting edge of their industries, these are conversations you won’t find happening in one place anywhere else in the country. An unparalleled opportunity to hear where the future of New Zealand will take us. Take time ahead of our social evening to connect with other members on a scenic hike on the Port Hills lead by Hon Ruth Richardson, or join an art hikoi (walk) and hear about the impact that Ngāi Tahu artists have had on urban design during the Christchurch rebuild from Lynne-Harata Te Aika, General Manager Te Taumatua. Then let your hair down and head ‘Back to the Future” for a night of fun at the Old Town Hall. Our final day together connects us and our learnings in to the present day. Global Women’s Annual General Meeting will give you an insight into what we’re working on now and what’s in store for the next 12 months. We look ahead to the next decade which is set to be more volatile for business than the last and hear stories and lessons from those who have faced tremendous adversity and have risen to triumph. Round off your hui experience with a social lunch at the award-winning Roots restaurant. Don’t forget to log in to the Global Women website to stay in touch with friends old and new. The 2019 Global Women 10th Anniversary Hui will provide a speaker line up like no other. Stay tuned for regular updates as we announce our stellar line up. 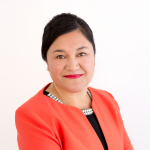 Join us in Christchurch this May to get the skinny on how Global Women Member Vicky, CEO and Secretary for the Ministry for the Environment, is leading the charge on the biggest policy issues of our time: climate change and environmental sustainability. Join Lianne Dalziel, Mayor of Christchurch and member of parliament for 23 years as she generously shares her story and her town with us. Leadership roles come with testing moments. There are however few leaders in the world who have been tested in the way Lianne and her team have in the hours and days since the attacks on 15th March. Ziena Jalil is a consulting partner with Australasian public affairs firm SenateSHJ. An award-winning brand, reputation management and business development strategist, Ziena has advised Ministers, Boards and C-suite executives, and supported New Zealand’s leading businesses grow their reputation and revenue. A diversity advocate, Ziena has presented and advised on diversity and inclusion, including publishing internationally in the book Workforce Diversity: Global Perspectives. 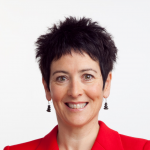 Therese is a professional director with wide ranging governance experience in New Zealand and Canada. She is currently Chair of the Board of ChristchurchNZ, Council Chair of Ara Institute of Canterbury, Director of J Ballantynes Company Ltd and Chair of the Christchurch Symphony Orchestra. A specialist in elections and New Zealand politics, Therese has worked as a political and election night analyst for TVNZ and TV3 in New Zealand and for CBC TV and Radio in Canada. Aliesha is a producer and pioneer of Virtual Reality (VR), Augmented Reality (AR) and new technologies. She is highly sought after both locally and abroad as a producer of VR/AR content. The projects she leads in the fields of entertainment, enterprise and medicine are shaping the future of VR in the region. Arihia will share the inspiring vision of Te Rūnanga o Ngāi Tahu and the experiences of Ngāi Tahu, post Treaty settlement, which will provide valuable insights as we discuss the future role of Global Women. 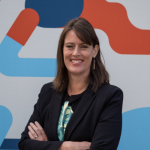 Self-described ‘kiwi as’ Jo has been working at the heart of Christchurch’s redevelopment since 2017, when she became CEO of ChristchurchNZ. Catch up with Jo as she leads a walking tour around the city on Day 2 of the members’ hui. After the 2010 Canterbury earthquake, Coralie teamed up with others to create Gap Filler, an initiative that fills vacant sites with creative projects. Coralie will be part of a panel conversation on addressing today’s inequality for tomorrow’s success on Day 2 of the hui. Many more amazing speakers to be announced shortly…. As we reflect on our foundations and look toward a diverse future, it seems only fitting that we host our 2019 Hui in a destination that reflects our theme. Ōtautahi (Christchurch) has recently undergone significant changes and its people have shown immeasurable resilience and growth. We are delighted to be hosting the hui in this richly diverse city. The hui will be held at several locations, including the newly restored Town Hall. We’ve organised some great accommodation options for you, which are all a short stroll away from our chosen venues. Reserve your preferred room directly with the accommodation provider of your preference when booking the rest of your hui package. Enter the promo code GWN2019 when you book, to access these special prices. These rates will be available for three dates either side of the hui, so feel free to extend your stay to have a mini-break, explore or conduct other business outside of the conference schedule. These rates are exclusive of breakfast, however breakfast on Saturday is included in the hui package as part of our AGM. Call hotel reservations directly 0800 100 220 and quote “Global Woman”. You will be sent an email confirming your reservation and rate. Email reservations@thegeorge.com directly and quote in the subject field “Global Woman” or “GWN2019”. This reduced-rate accommodation package does not include breakfast; discounted breakfast available at $25. There are domestic and international flights arriving each day to Christchurch. Transfer will be arranged for you upon your arrival into the city, so please let us know your flight details when you register for the hui. Relax and recharge with other Global Women members while exploring the sites of the heart of the city. Further details and registration will be released on these activities closer to the event. By selecting this package you will be missing out on the keynote speaker on the Saturday. By selecting this package you will be missing out on the welcome ceremony and 10th Birthday Celebration on Thursday evening.